Greetings. I hope that this finds you well and that 2018 is off to a good start for you. 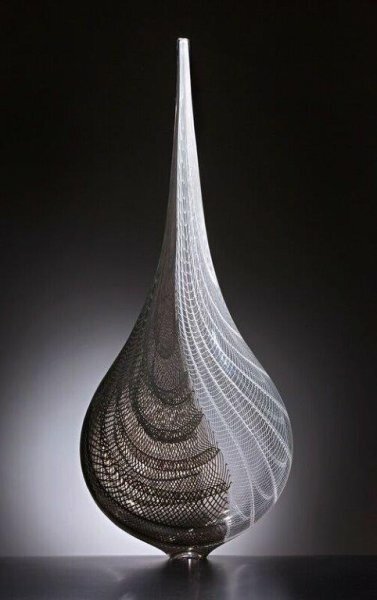 This month I am pleased to share some great new pieces by several of my favorite artists and to introduce the glass sculpture of Jenny Pohlman and Sabrina Knowles. I hope you enjoy this month’s edition of Holsten Galleries News and look forward to your comments and questions. Many of you are already familiar with the work of Jenny Pohlman and Sabrina Knowles so that the term "new artists" applies only in the sense that they are new to Holsten Galleries. 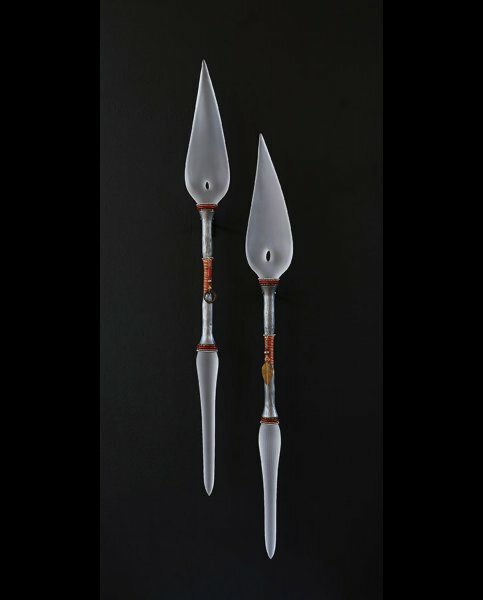 I have long been an admirer of the sculptural work of this dynamic duo and am extremely proud to now count them among the many other distinguished glass artists that I represent. To those of you who may not be familiar with this work, I am introducing here two of the most iconic series of Pohlman/Knowles: The Liberation Spears series and the Homage series. To see more work please visit this link. The intent of the Homage series is to evoke emotion through simple gesture, such as a nod of the head or bent shoulders. It represents reverence, an homage to each other and to life. 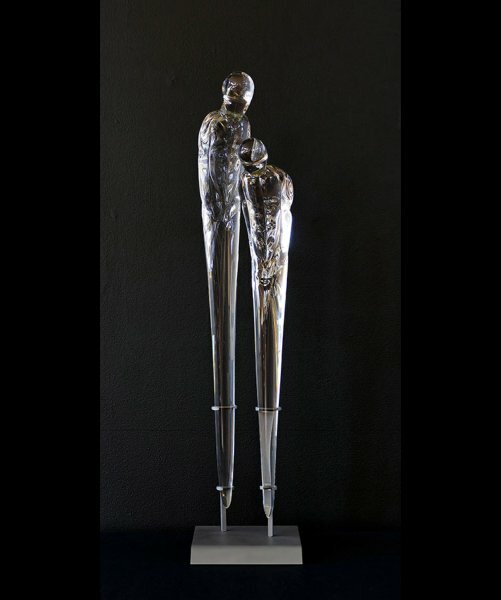 Each figure is sculpted in solid glass free-hand, without molds. The Liberation Spears series was begun 6 months after Pohlman and Knowles visited Zimbabwe in 1997 and learned of the liberation attempts of a female leader, Nehanda, considered a spirit reincarnate by her people, against the British imperialist Cecil Rhodes. For Jenny and Sabrina this series symbolizes liberation and freedom from oppression. This is one of the most subtle and sophisticated pieces by Lino that I have seen in many years. The absence of Lino’s more typical bright colors allows us to emerge more fully into the wonderful intricacy of the cane work. The contrast of light and dark canes makes the piece all the more dramatic. For those of you who are used to seeing Nancy Callan’s Tops, Clouds and Orbs, this piece may come as a bit of a surprise. Captain American II is from Nancy’s "Stinger" series. 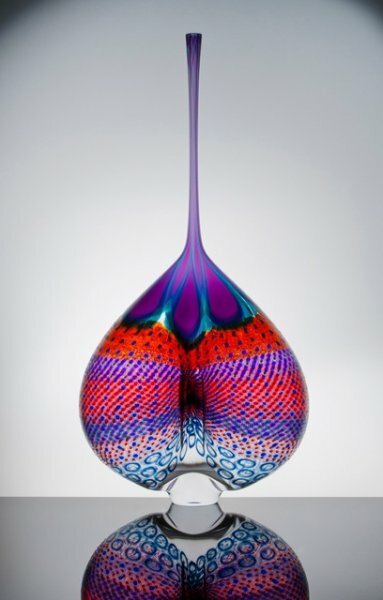 As in all of her work, this series has a playful feeling but, unlike the other series, there is no cane work here. The greater opacity of this series lends it more of an abstract painterly quality. 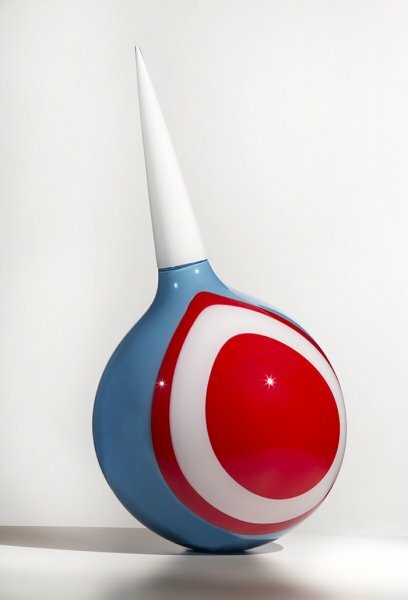 Just yesterday this wonderful piece by Kentucky glass artist Stephen Powell was added to my inventory. I love the playful form and the rich and moody colors. As always, Stephen’s use of the murine technique is masterful. by Stephen Powell, 42.5 x 20 x 12"
Thank you for subscribing to Holsten Galleries News and for taking a few moments to enjoy this month’s edition!